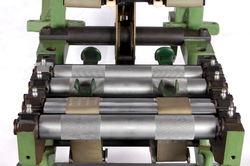 - Bottom fluted rollers and knurled rollers. - Holding bar assembly with “l fork and springs. We are manufacturing top roller with end bushes and cots suitable for HSR 1000, HSR 900, etc, the end bush are made of en-8 material and the bearings are imported which are heat resistant and can take high speed. We manufacture complete range of positive clearer spares. these are manufactured with high quality premium raw materials. 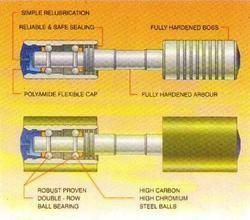 They are high in performance, best quality and most reliable in all situations. They are stocked for faster and timely delivery when ordered by our premium customers.